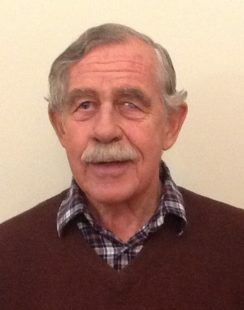 Following a National Service commission with the XII Lancers and an honours degree in Engineering Sciences from New College Oxford in 1960, Michael Pery worked for 3 years in the Motor Industry as before joining the P-E consulting Group, where he undertook a wide range of assignments both in the UK and Turkey. In 1966 he joined Alginate Industries Ltd. a company extracting specialised chemicals from seaweed, and was appointed Managing Director when the company was floated on the Stock Exchange. During this period the company grew to become the world’s largest producer of Alginates – establishing manufacturing operations and Joint Ventures overseas. Following its acquisition by Merck, in 1982 Michael Pery left to join Sifam Ltd an electrical instrument company. As Managing Director he established a major programme of diversification into fibre optic components and sensors – largely through technology transfer initiatives with universities. Sifam Fibre Optics grew to become the UK’s largest manufacturer of passive fibre components. Concurrently, Michael Pery became a Director of London Life, a mutual life assurance company and of P.R.I. Ltd, an electronics metering company. On leaving Sifam in 1993, as Chairman and a founding director, he was instrumental in starting OptoSci Ltd, a research based company developing, manufacturing and marketing innovative Optoelectronic technology, sensors and instrumentation. Concurrently, in 1994 Michael Pery became Chairman and a founding director of Ecological Sciences Limited (EcoSci), a Waste Management company specialising in composting and associated microbiological research. The company grew to become the largest producer of compost in the Southwest, undertaking feasibility studies and design projects worldwide. As a Founding Director, Michael Pery established the Recycling Works Consortium in 1999. A not-for-profit company, it established a highly successful internet based Waste Interchange promoting the recycling and reprocessing of commercial waste materials. Following the acquisition of EcoSci, In May 2007, as Chairman, Michael Pery restructured Biofuel (SW0 Ltd, a fledgling company producing bio-diesel from waste cooking oil.